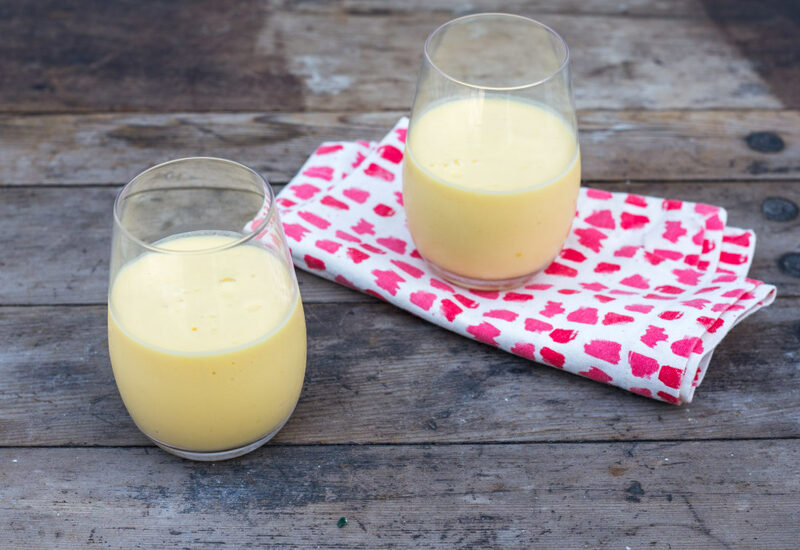 Mango Lassi are a classic Indian treat that also happen to make a delicious, protein-packed breakfast or snack. 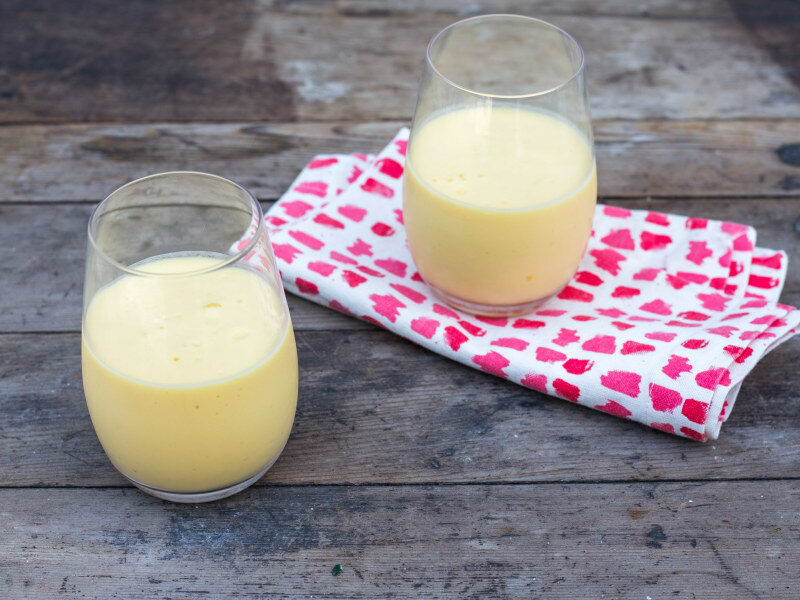 Simply combine frozen mango, coconut water, Greek yogurt, and honey in a blender and puree until smooth. (For a vegan option try using coconut yogurt and a little bit of agave or maple syrup to sweeten.) In less than 5 minutes you have a refreshing treat that originated halfway across the world! What a great way to start the day! Enjoy this drink alongside a spicy meal like Indian food. The dairy will cool your mouth and the mango will refresh your palate. Add 1/8 teaspoon (or more) ground cardamom for a nicely spiced, more authentic version of mango lassi. For a little more protein and creaminess, swap the coconut water with milk. Thin out your lassi by adding more milk or water or make it thicker by adding more mango or yogurt. Per Serving: 152 calories; 1g fat; 27.8g carbohydrates; 10g protein; 4mg cholesterol; 126mg sodium. I order this all the time at Indian restaurants so making it at home is awesome when I'm trying to cut down on eating out so much. I used plain (non-Greek) yogurt and it tasted as good as the restaurant. LOVE mango lassi; one of my favorite drinks. Who knew it was so easy? I totally added a bit of honey, but depending on how sweet your mango is, you may or may not need it. Definitely taste first before adding.